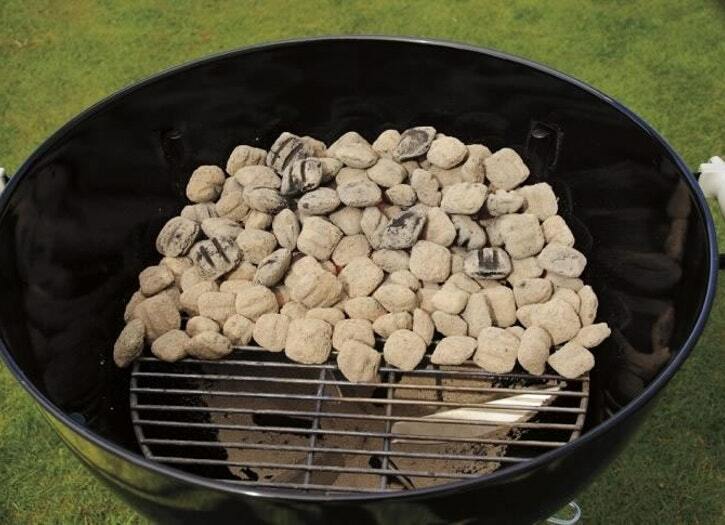 The basic two-zone fire is an efficient charcoal arrangement for a wide array of foods. It combines both direct heat (where the food cooks directly above the coals) and indirect heat (where the food cooks above and to the side of the coals). It is important to have both kinds of heat available at once, particularly when you are cooking with a live fire. 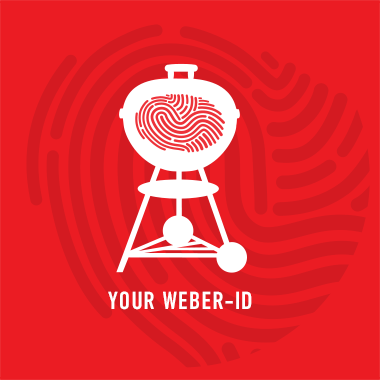 Direct heat is best for relatively small, tender pieces of food that cook quickly, such as hamburgers, steaks, chops, boneless chicken pieces, fish fillets, shellfish, and sliced vegetables. Direct heat sears the surfaces of those foods, developing flavors and texture, and it cooks relatively thin foods all the way to the center. Indirect heat is best for larger, tougher foods that require longer cooking times, such as roasts, whole chickens, and ribs. Indirect heat cooks the surfaces of food, too, but in a much more even way. You also can create a three-zone fire, which provides even more flexibility. 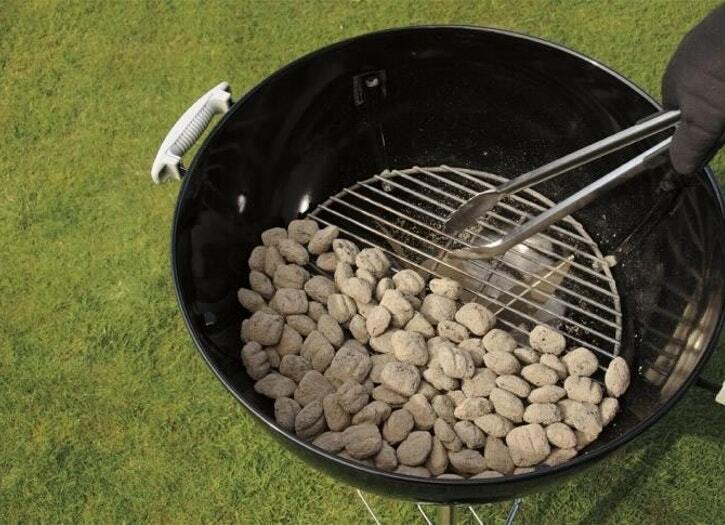 On one side of the grill, pile coals two or three briquettes deep. 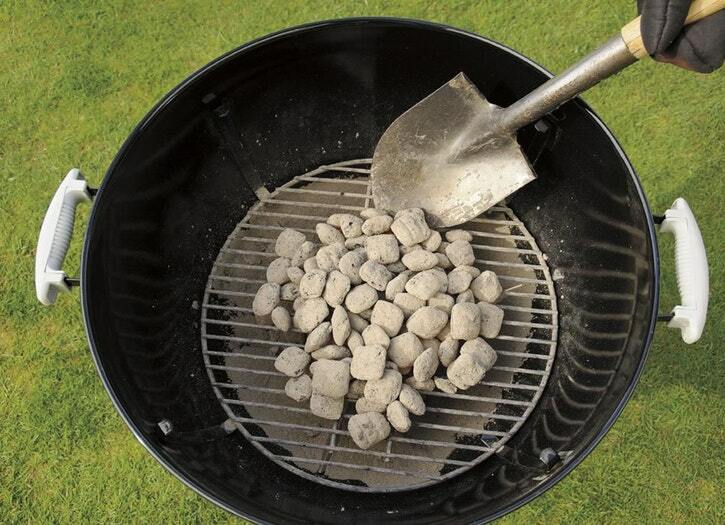 Then, slope the coals down to a single layer across the center of the grill, and place no coals on the opposite side. When the coals are completely ashen and have burned down for 10 to 20 minutes more, after being emptied from the chimney—voila!—you have direct high heat on one side, direct medium heat in the center, and indirect heat on the opposite side. There are also times when you might prefer a three-zone “split” fire, where the coals are separated into two equal piles on opposite sides of the charcoal grate. This gives you two zones for direct heat (high, medium, or low) and one zone between them for indirect heat. This works nicely for cooking a roast over indirect heat, such as pork loin or beef tenderloin, because you have the same level of heat on either side of the roast. 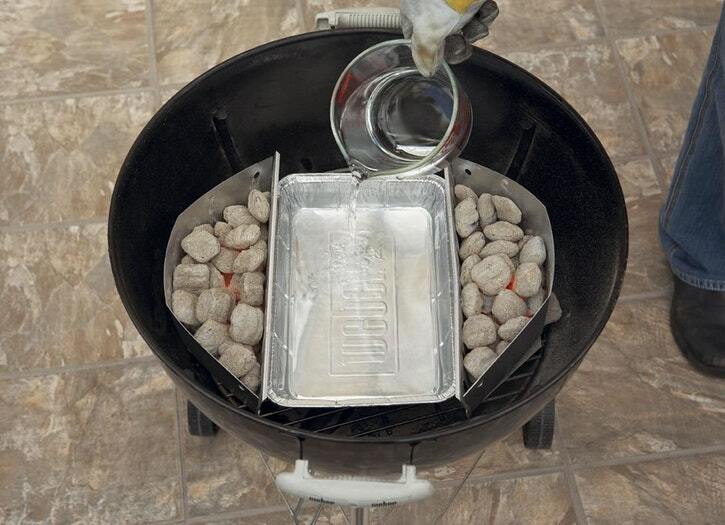 Placing a disposable pan between the coals and filling it about halfway with water allows you to catch drippings and to extend the life of your grill by keeping it clean. Additionally, the water both absorbs and releases heat, so a filled pan means you will need to add charcoal less often to maintain the temperature of your grill. 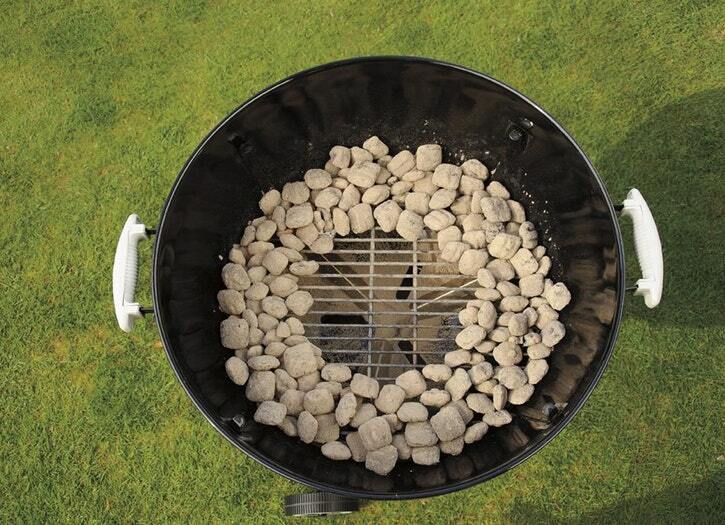 The charcoal baskets help to keep the coals clustered together so they burn longer. The ring of fire is another way of arranging charcoal for both direct and indirect heat. The ring of coals around the perimeter provides direct heat while the empty center of the ring provides an area of indirect heat. The bull’s-eye is the flip side of the ring of fire. 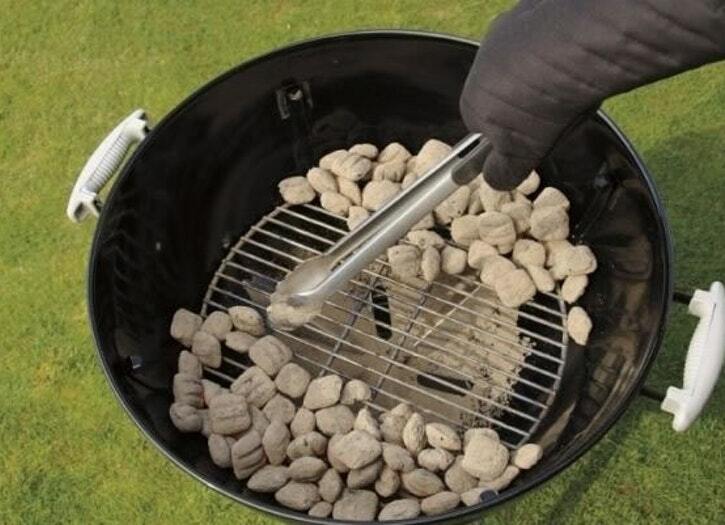 With the coals piled in the center of the charcoal grate, you have a small area of direct heat, but a lot of area around the perimeter for indirect heat. This is a convenient arrangement for slow cooking or warming several small pieces of food, such as bone-in chicken pieces.